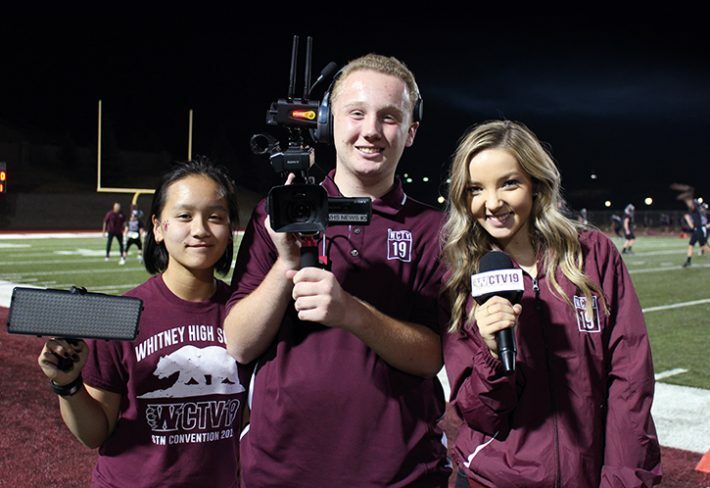 Whitney High School in Rocklin, California has won multiple awards for its student television station, but school’s success isn’t based on tech, it’s hard work and disciplined workflows. The Whitney High School broadcast programme was started by Ben Barnholdt, who in 2007 moved to the Sacramento area from Nevada, where he had been a videographer for NBC stations in Reno and Las Vegas. The programme has 84 students and consists of seven classes – four introductory media classes and three advanced level classes. 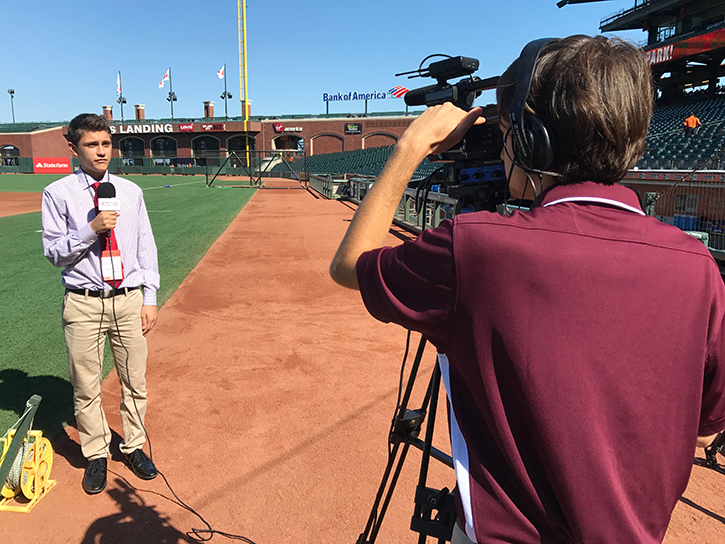 After the intro classes, which survey film production, non-fiction broadcasting and production basics, students have the opportunity to move on to study broadcast journalism, sports broadcast or film production. These three advanced classes collaborate in producing a 15-minute daily show which streams out to the school and the local community. With the exception of a few faculty announcements, the content is written, produced and anchored by students. The Whitney student channel, called WCTV19, streams to a number of online and social media destinations via ESE Networks, a Georgia-based service that has become a go-to destination for high school and educational streaming. The sports programme broadcasts live events. Weekly football games are the staple of the live streaming programme. “We have so much equipment, we have to start setting up for an evening football game at about 3:30. 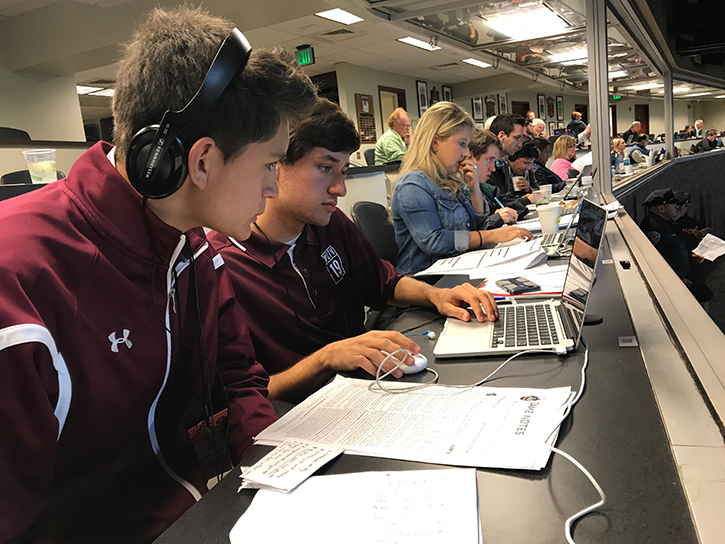 You have to go out to the press box and set up four computers, one for graphics, one for instant replay, one for Wirecast and one for the directors. And that’s not including our five cameras.” The school is in the process of building its own production trailer. When the gear is installed the vehicle will allow greater speed and mobility and enable the programme to expand its range of live coverage. 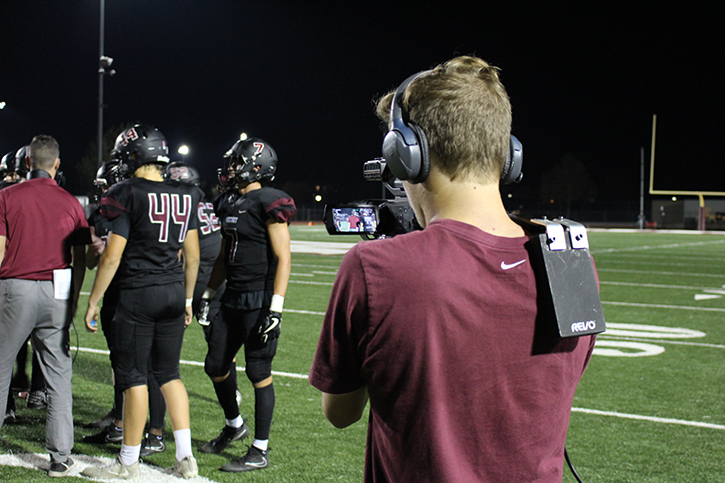 Using Wirecast’s Titler Live, the football live stream also features high-quality scoreboards, running clock and down markers. The live football coverage is streamed out via Facebook Live and through ESE Networks, using Wirecasts ability to send to multiple outlets. ESE has provided streaming services for the school since 2013 and hosts most of the video content and live streaming. 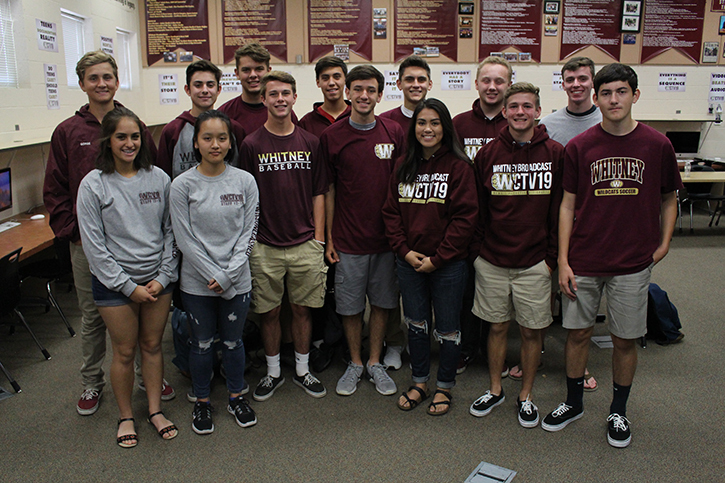 At Whitney High School, the emphasis is on practical experience. There are some theory classes, education about visual grammar and the basics of film theory, but the vast majority of the classroom experience is hands on. The students are encouraged to innovate and problem-solve. Senior Ryan Bower became the school’s sports director as a junior, a post he still holds. He runs the day-to-day operations in the sports broadcast class, helping others with their sports news packages for the daily show. 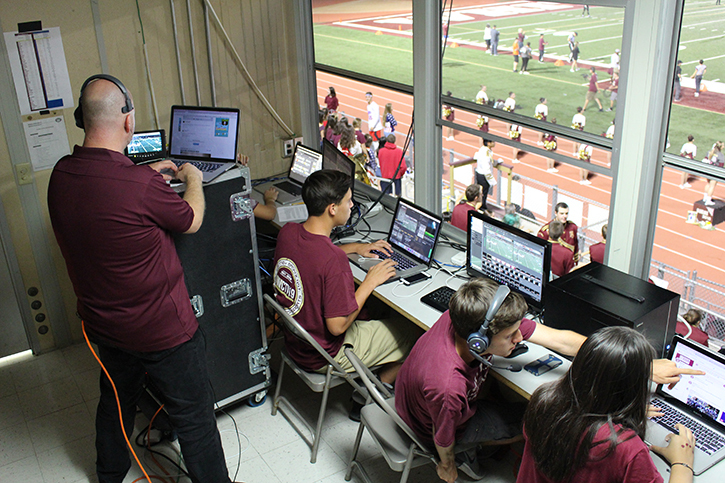 For the school’s football broadcasts, he runs the Wirecast computer, as well as making all the graphics for the football coverage. Ryan seems to thrive under the discipline and team work the programme requires. “It’s very deadline based,” says Ryan. “We have a really organised rotation on how we get our work done. Our football season live streaming starts at the beginning of the school year. We have to ramp up really fast. I make 35 to 40 graphics for it every week and we’re also getting our daily show going. “Wirecast is easy for any kid to pick up with a bit of practice, and that helps. We do our morning shows every day and there are tons of graphics we have to do for that. It’s not an easy show to run and there’s pressure. The fact that anyone can run it is really helpful. “The thing I’ve learned most from the programme is how to be a leader and be accountable. When someone says that they’re going to do something, everyone has the expectation that it will be done to the best of their ability, to create the best product possible.” However, Ryan isn’t planning on a media career when he graduates later this year, but he will be reaching for the stars. He plans to study astrophysics. Vendors show up at STN too, just as they would at any other tradeshow. Wirestream, LiveU, GoPro and Blackmagic all have stands. The only difference between STN and NAB is that the attendees may be a little more receptive to new ideas. Around 3500 students attend STN and the show isn’t just limited to US schools; some London schools have also sent students. Every year STN holds its ‘Crazy 8’ competiton, in which students have eight hours to create a television show. Students have to supply their own gear and crew are judged at the end of the day.